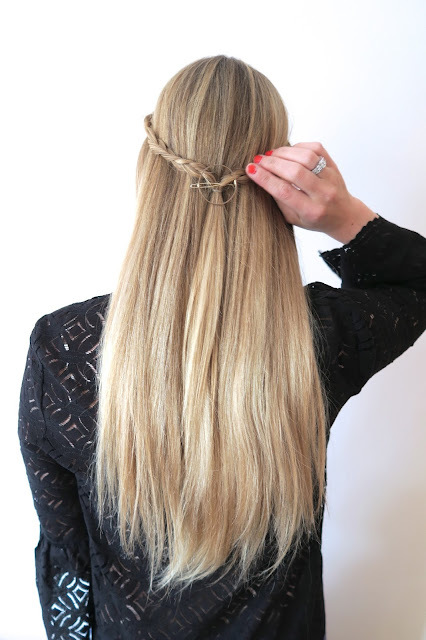 #FashionwiseHairCareWeek : 2 ways to pimp your hairdo ! 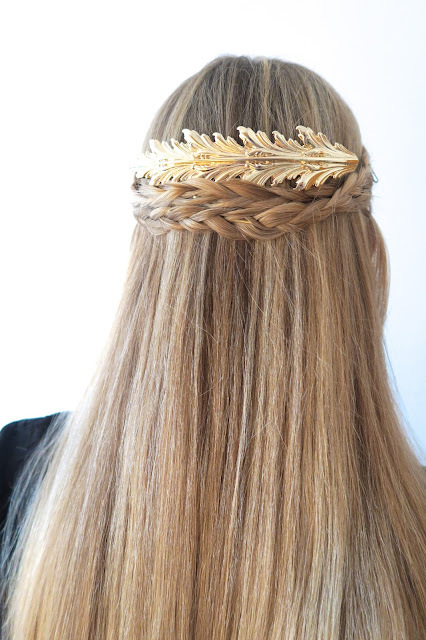 First up is this gold leaf hair comb ( similar here & here) that is a true statement piece to any hairdo . I used 2 simple 3 string braids that swept across the other side and attached with a bobby pin (very simple) . Then I used the feather hair comb and placed it in the middle above the braids to make it special. It's that easy! 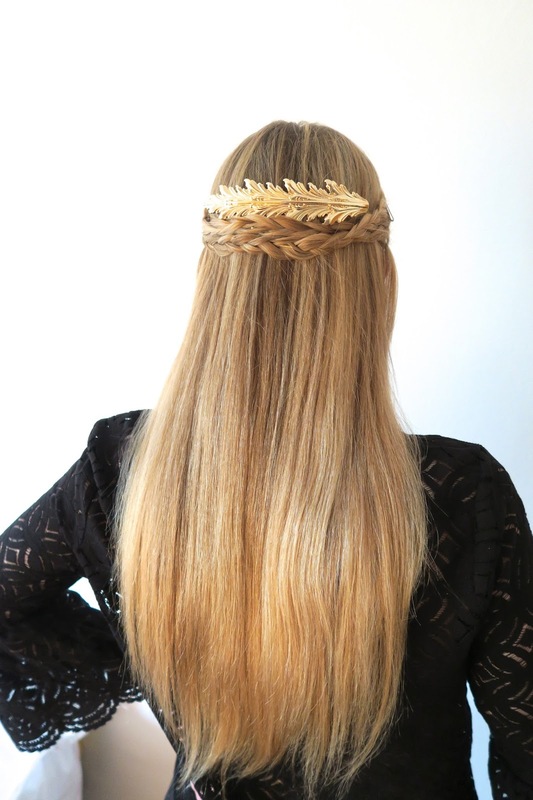 You could even curl your hair for a more boho-look ! the larger the hair pin, the larger the glamour effect it gives. The second accessory is this simple minimal round hairpin (similar here & here ) that gives that little bit extra glamour to your hairstyle. I used a straightener to give it that sleek effect and I used a clear elastic band to tie the hair together to which makes the hairpin/hairstyle hold all day long! I was wearing a H&M lace top. I like them both !